The Inland Concert Series surveys multiple approaches and disciplines, creating concerts of exploratory and experimental music. Erkki Veltheim, Rohan Drape and Alex Garsden (of Inland Concert Series) present an extended antiphonal work for instruments and computers of fragments of sonic things created independently. Inland Concert Series returns to Perth, co-presenting a three-act concert with Tura New Music. In this concert Erkki Vetheim, Rohan Drape, and Alexander Garsden present their major new work ‘A Coincidence, A Connection Outside, A Connection Inside’ – a durational exploration of heterophony via colliding intonation structures. They’re joined by clarinettist, improviser, composer and performance-maker, Aviva Endean, performing a short set to launch her debut solo album ‘cinder : ember : ashes’ available now on Sofa Music (Nor), and by Perth ensemble Breaking Waves (Michael Caratti, Jameson Feakes, Ben Greene, Annika Moses, Josten Myburgh, Dan O’Connor, Sage Pbbbt). This is Erkki Veltheim, Rohan Drape and Alex Garsden performing a fifteen-minute work of ‘Three guesses — a coincidence, a connection outside, a connection inside’ at Polyphonic Social 2017 by Liquid Architecture. Breaking Waves are an experimental ensemble based in Perth, Western Australia. They explore slower forms of ensemble interaction in improvised and composed contexts. 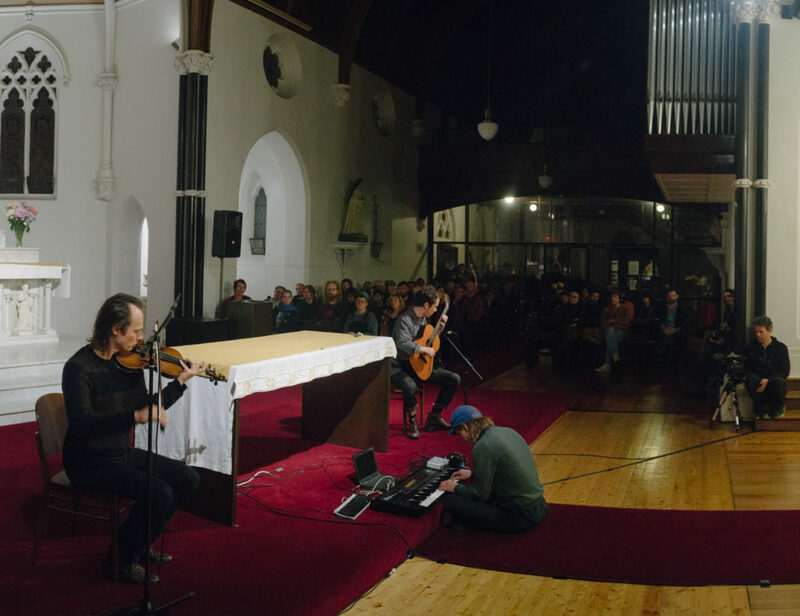 The Inland Concert Series encourages music creators to share their work in a performance context to much varied and critically positive acclaim. The Series distinguishes themselves from their contemporaries with their sit-down concert setting, largely working in spaces that are orientated towards acoustic fidelity. While still trying to dissolve the austerity and formality of the recital context, the setting encourages the audience to listen to experimental music with the same focus as a classical audience.